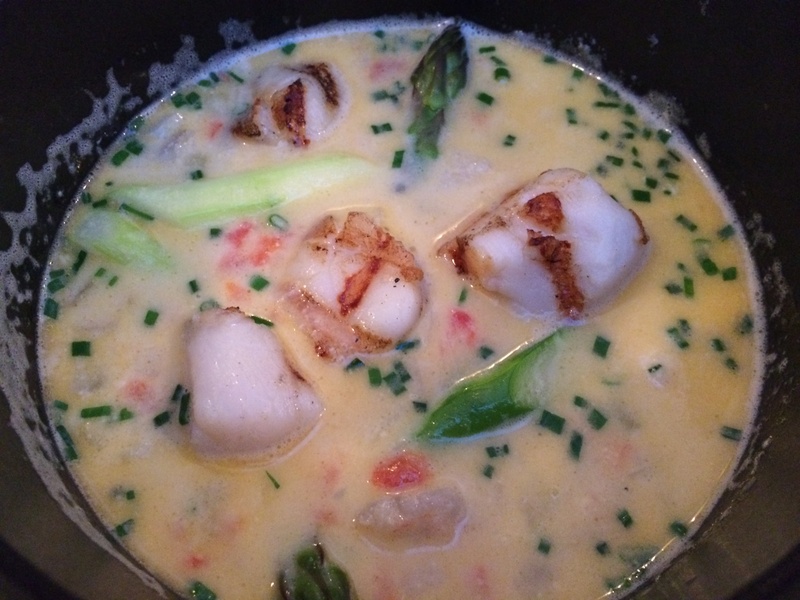 A nice big pot filled with tender pieces of halibut, plump scallops, clams, mussels, shrimp and asparagus in a light, rich saffron broth peppered with flavourful bits of minced onion, red pepper, and chives. Served with plenty of bread for soaking up the fabulous broth. This pot is the perfect meal for a cold Montreal winter’s day. 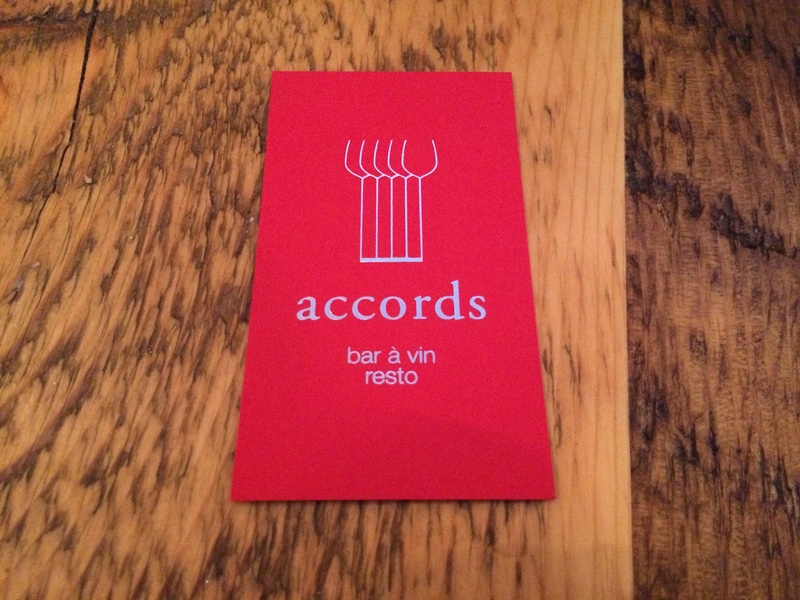 Accords is a modern but cozy wine cellar restaurant located on Rue Notre Dame in Old Montreal, and is one of only a handful of natural wine bars in Canada. Chef Marc-André Lavergne focuses on using fresh, seasonal, high quality ingredients to make dishes inspired by whatever is being produced locally, collaborating with somellier Philip Morisset the create unusual but delicious wine parings. 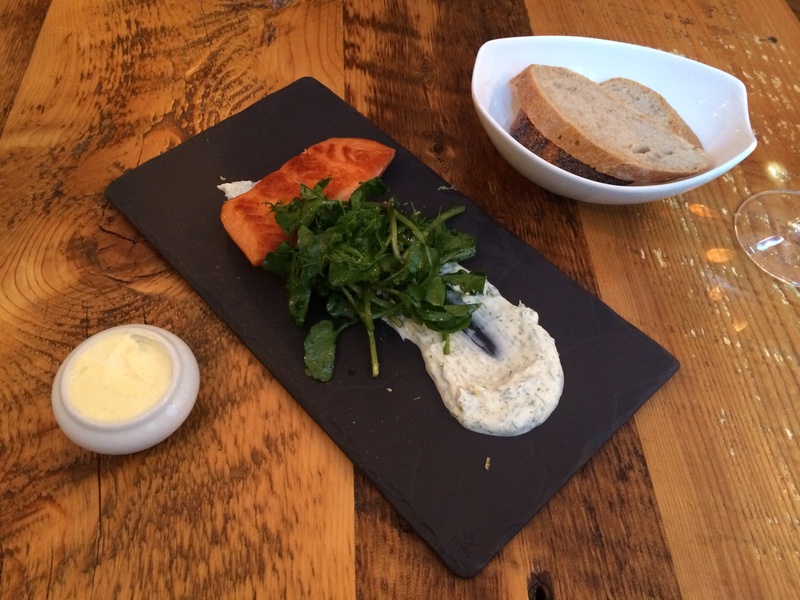 Another standout dish is their smoked salmon fillet and yoghurt with dill. The smoky salmon has just the right amount of chewiness while still being tender on the inside, and pairs beautifully with the sauce and greens. that chowder looks especially amazing. It is a creamy broth? Doesn’t look overly thick, but is whiter and more opaque than if it were just a chicken stock. ?? Wish I could get a whiff! It was so incredible I can’t stop thinking about it! I actually bought a bunch of ingredients to try to recreate it at home, but my husband can’t eat dairy so I’m going to do a tomato-based version. It will be completely different of course, but hopefully will at least satisfy the craving I’ve been having for a hot seafood stew. The broth was the real star though. It wasn’t like a chowder at all, but as light as milk and buttery and delicious with a nice strong hint of saffron. The tiny little minced onions and other vegetables helped keep the flavor of the broth in each bite. Wish I could beam you to Montreal so you could try it! saffron? Wow–now I’m really drooling. Will you do a follow-up report after you make your version? Definitely! I’ll let you know how it turns out.